Rakuten Super Points with Redemption Expiring Date 0.5% Unlimited Reward. 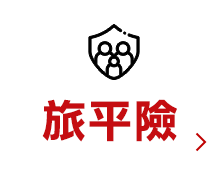 Every transaction can earn the Rakuten Super Points reward to your Rakuten membership account for all your retail spending regardless of transaction amount or channels. 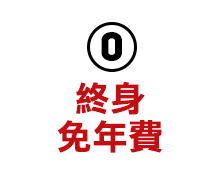 * Special spending is not eligible for Rakuten Super Point. Please refer to our T&C for more details. 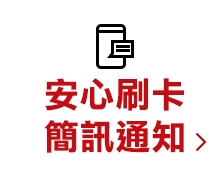 Need to use Taiwan Rakuten Card and pay more than 80% of the transportation fair charge or the travel agency tour charge. The age of primary card applicant should be 20 years and under 65 years and the applicant should not be announced for a guardianship or an assistantship. The applicant's annual income must exceed NTD 1,000,000. The age of supplementary card applicant should be 15 years or older. The supplementary card applicant should be the primary applicant's parents, spouse, child, siblings or parents-in-law. ※ The valid period of ARC must exceeds 6 months from it's expiration date. Income tax withholding statement or salary statement. Click "Apply Now" to submit your request to us to mail you a paper based application form. Complete the application form and send it back to us with required documents through business reply letter or registered mail. We will call the applicants for verification. The appication result will be sent to the designated e-mail address. Send the credit card to the designated address. No annual fee will be charged in the valid period of the credit card. The adjustment of annual fee is subject to the announcement of TRC. If there is any adjustment of the annual fee, TRC will notify cardholders in writing.Cardholders with objection shall notify TRC in writing within 7 days after receiving the notification from TRC. Otherwise, it would be considered as consent to the adjustment. Cardholders may choose to pay with revolving credit charge and shall pay the minimum payment before the payment deadline. The cardholder may defer payment on unpaid balance and may pay off the deferred amount in part or in whole at any time. TRC will charge the revolving interest based on the unpaid balance thereof. Minimum payment of each period= 【(the incremental consumption payment(including cash advance) x 10%) + (unpaid consumption payment(including cash advance) x5%】(calculate with NTD$ 1,000 if the amount is less than NTD$ 1,000)+【revolving interest, annual fee, service fee for oversea transaction , cash advance, loss report fee, default charge, service fee for re-issuance of statement and other service fees】+【transaction installment and billing installment】+ 【service fee for installment】+【total consumption in excess of credit limit】+ 【accumulation of the unpaid minimum payment of each period】If the cardholders have 2 or more credit cards issued by TRC, the 10% of the incremental consumption payment for the current period and the 5% of the unpaid consumption payment for other periods would be calculated on the consumption of each credit cards and would be summed up as the total payment due. The revolving interest of each transaction is calculated on each applicable payment with the revolving interest based on the result of TRC credit review. The date when the interest accrues is from the settlement date of each transaction to the settlement date of the account. The payment would be rouned if it is under NTD$1. The annual revolving interest rate is between 6.75% and 15%. The calculation for over due default charges is as below. It shall be limited within 3 periods. If the amount payable of current billing cycle is less than NTD1,000, no default charge will incur. The default charge is limited to consecutive 3-billing cycle and should be calculated in NTD. If the cardholder pays in next billing cycle, the consecutive default charge will be re-calculated. The service fee for cash advance is 3.5% of the cash advance amount + NTD$150. If the cash advance is not paid off by the cardholder before the payment deadline shown in the current billing statement, TRC may charge the default charge or revolving interest. In addition, if the cardholder applied cash advance by phone or online and request TRC to tranfer the amount to the account of financial institution in Taiwan, TRC would charge money-transfer fee for NTD$100 additionally. All credit card transactions shall be paid in NTD. When the currency of transaction (including refund) is other than NTD, or the cardholder pays in NTD abroad (including the transaction in the oversea contractual merchants or online transaction), the cardholder authorizes TRC to convert the transaction into NTD based on the exchange rate provided by the international credit card organization on the date of exchange settlement and add the service fees for oversea transaction. The cardholder shall pay the sum of converted transaction and international transaction fee. The oversea transaction fee includes the service fee charged by international credit card organization and 0.5% of each transaction charged by TRC. The charging rate for oversea transaction of each international credit card organizations may change anytime. The current charging rate is 0.8%~1% for each transaction. If cardholders request to retrieve the credit card transaction slip or the refund slip, TRC would charge NTD$100 for each retrieve of the transaction slips. If the cardholder notify TRC to report the card loss when the credit card is lost, stolen, or taken possession by another person other than the cardholder, the cardholder shall pay a card loss report fee in the amount of NT$200 per card. If cardholders request re-issuance of credit cards due to taint, demagnetization, scratch or other situation which makes credit cards unusable, TRC would charge NTD$100 for each re-issuance. TRC will charge NTD$100 for each re-issuance of statement for non-current period. This service fee is not required for the latest two periods. TRC will charge NTD$100 for each transfer to certain account for the refund of overpayment. TRC will charge NTD$200 for each proof of settlement. If cardholders request emergency card or cash advance in foreign country, TRC would charge the relating service fee in accordance with the regulation of each international credit card organization. TRC will charge the Handling Fee for Questionable Transaction in accordance with the regulation of each international credit card organization.